It is very sad that so many drivers don't care about kids and bicyclists on our roads. They choose to operate their phones while driving, choose to speed, and choose to not stop for people near crosswalks. Look next to you at a red light, and more often than not, you will see a person reading or typing on their phone. When the light turns they often begin to drive while still looking at the phone. Because of this, parents are afraid to let their kids walk to school. Walking to school is a tradition in Wisconsin as old as deer hunting, but recently there has been a trend towards favoring motor vehicle transport, and making driving cars more convenient, while caring less about kids walking and biking. The Wisconsin Bike Fed is a Statewide advocacy group that helps make biking and walking safer in Wisconsin. 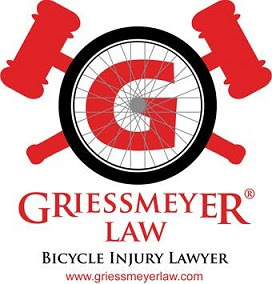 As you may have read, there has been an increase in Wisconsinites who choose to walk and ride bikes getting killed by drivers, often drivers who choose to use their phones whilst driving/drive distracted. A walking school bus is a group of kids walking to school with one or more adults. It can be two families taking turns walking the kids or can be carefully planned routes with meeting points, timetables and consistent volunteers. There is also a variation that includes a bicycle train with adult leaders on the ride. After learning many parents wanted their kids to walk to school but were afraid of their kids getting killed by distracted drivers, especially crossing Oklahoma Ave, the WI Bike Fed worked for approximately six years with Fernwood Montessori school, parents, students, and administrators. As of today, they now have a walking school bus.